Whether you are a die-hard Fortnite player or a casual one, you would have probably consumed some apples in Fortnite which doesn’t provide much iron to your character other than 5 health points. Health as low as 5hp might be the reason they don’t get much attention from the players. But they might be the fruit you need especially when you are just 5hp short or if you just like eating apple. 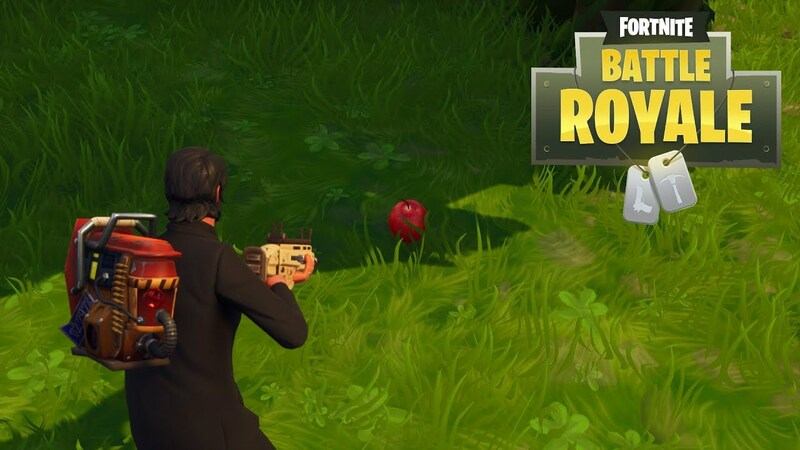 Unfortunately, with the recent Season 8 battle pass challenge of week 2, there are certain challenges where you have to consume at least 5 apples to get 25 health points. Which is why there has been an apple hunt going on in Fortnite & like many other you might have been looking for possible locations for apple hunt to complete the challenge or just to eat them before other can do so. Either way stay with us as we show you possible locations of apple spawning. Like other items in Fortnite, apple spawn randomly in different location. 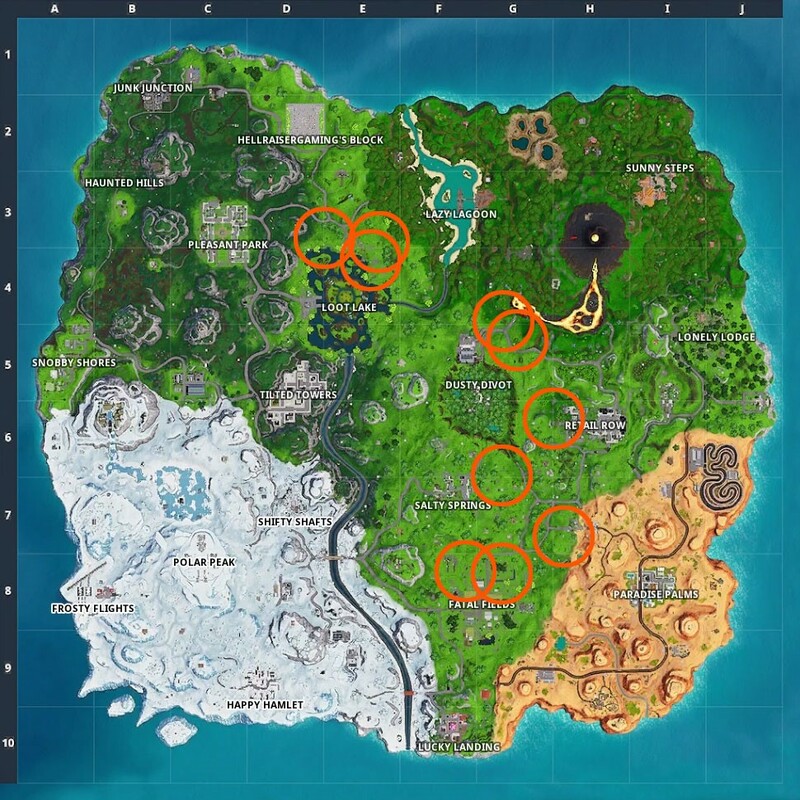 But since game code have some preferred locations where apple spawning chances are high which are marked in the map image below in circles. Of these, few locations are famous Dusty Divot, Loot Lake, Salty Springs & Fatal Fields. These are the most suitable location for apple to spawn in Fortnite as of now. But be advised, apple might not spawn in only these locations in every round. As we said these are location with high chances of spawning. There Is a chance of other player being in same hunt as you or just doing trolling if they have already done the challenge. Once you are in these location, you have to look for some specific trees and breaking them will make an apple spawn there lying on the grass which you can easily spot as reddish glow. Which you can eat to get 5 health points unless you have full health otherwise you can build a four section ramp and then fall of it so that can eat the Red fruit of Fortnite to fill your belly. While on hunt be sure to watch all sides carefully, since these are easy targeted sites for many player hunters. They might be hiding somewhere waiting for you to come and instead of apple you might get some soul taking bullets. Have fun at Fortnite.